2017 marks a particular milestone for Honda, as it is 25 years since the debut of the first Honda Type R model. 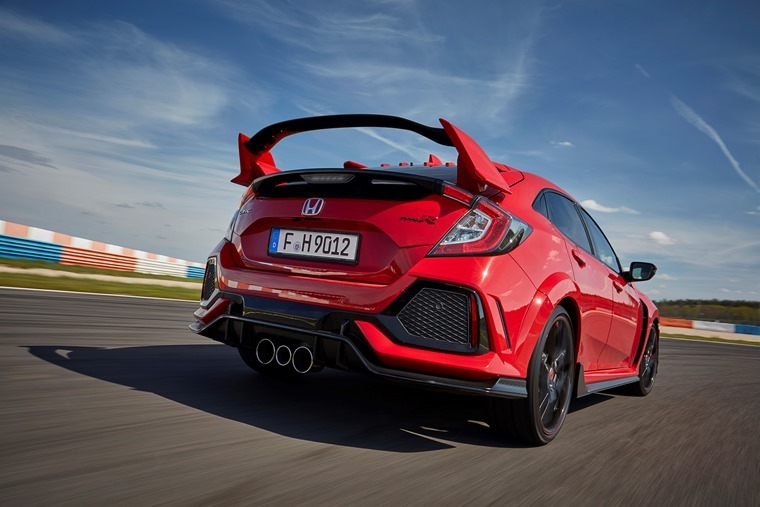 As such, with a quarter of a century of racing-inspired road car under its belt, now is an opportune time for Honda to release the latest incarnation of its famed hot hatch – and it promises to be the best yet. While it retains the heritage of Honda’s high-performance hatchback bloodline, it combines the purity of front-wheel-drive chassis dynamics with aggressive design and finely-honed aerodynamics. A new single-mass flywheel coupled with the slick six-speed manual gearbox reduces clutch inertia weight while the gearbox’s rev-matching function smooths shifts. Peak power output from the optimised and refined 2.0-litre VTEC turbo engine is 320 PS at 6,500rpm, and peak torque is 400Nm from 2,500rpm to 4,500rpm. It covers the 0-62 mph sprint in just 5.7 seconds and will go on to a top speed of 169mph meaning it is both the fastest-accelerating and quickest car in its class. The all-new Type R has a more comprehensive aerodynamic package than the previous model, including a smoother underbody, front tyre air curtain, a slim rear wing and vortex generators at the trailing edge of the roof line. 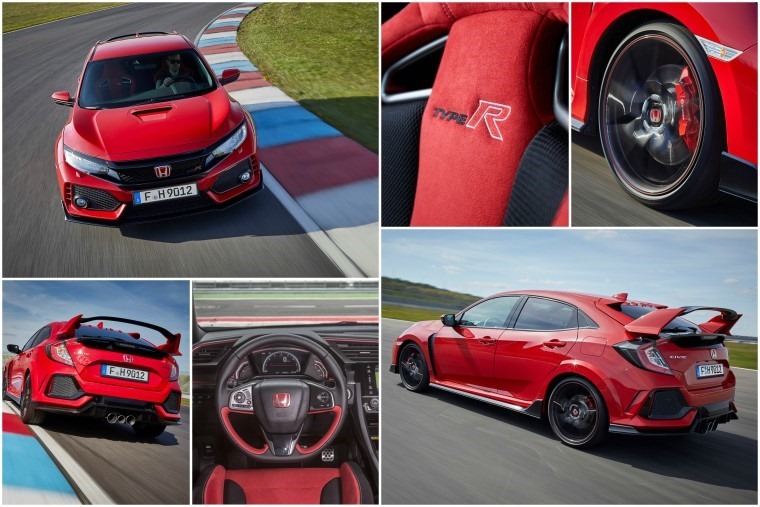 Whether it’s the new Comfort setting, the agile Sport or track-focused +R, each mode gives the Civic Type R greater usability compared to the previous model by tailoring the adaptive dampers, steering force, gear shift feel and throttle response of the car on demand. Comfort mode affords greater compliance and everyday usability compared to the previous Type R, offering a softer suspension setup and smoother steering feel. The new four-wheel Adaptive Damper System in +R mode is increased by 15% over Sport mode to produce a firmer, flatter ride and greater agility for high-performance handling. 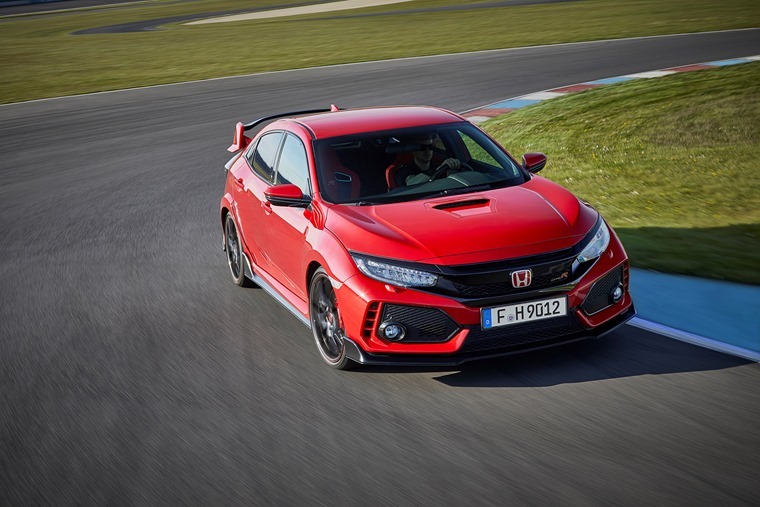 As we touched on in our article looking at the top five fastest cars to lap Nurburgring … that you can lease, after making its debut at the 2017 Geneva Motor Show the all-new Honda Civic Type R set a new benchmark lap time of 7 minutes 43.8 seconds at the Nurburgring. The lap time was achieved during the final phase of testing, on a dry track with an optimum ambient temperature for the best tyre and powertrain performance, and represents an improvement of nearly seven seconds compared to the model’s predecessor. Several factors contributed to the new benchmark lap time, but at its heart is the optimised and refined 2.0-litre VTEC turbo engine producing 320 PS and 400 Nm of torque. 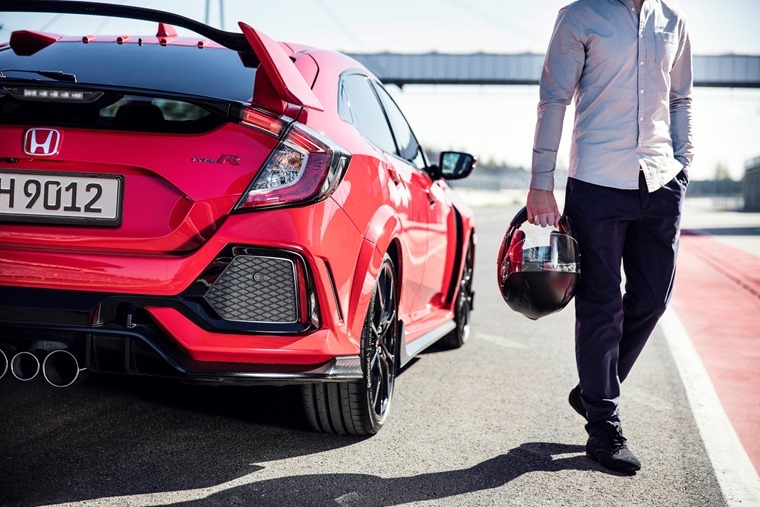 New lower gear ratios in the six-speed manual transmission further improve the car’s acceleration, while the new Type R‘s comprehensive aerodynamic package delivers outstanding high-speed stability, with a best-in-class balance between lift and drag. The development car that achieved the lap time was technically representative of production specification. A full floating roll cage was installed for safety reasons, but its presence did not provide any additional rigidity to the body frame. The extra weight of the cage was compensated for by the temporary removal of the infotainment system and rear seats and was using road legal track-focused tyres. Honda of the UK Manufacturing (HUM) plant in Swindon is the global production hub for the tenth-generation Civic hatchback, and the only plant to build the Civic Type R.
Production of the new Civic Type R is anticipated to start in summer 2017, with The Type R being exported across Europe and to other markets around the world, including Japan and the US. Its arrival in North America will mark the first time that any Honda-badged Type R has been officially sold there.